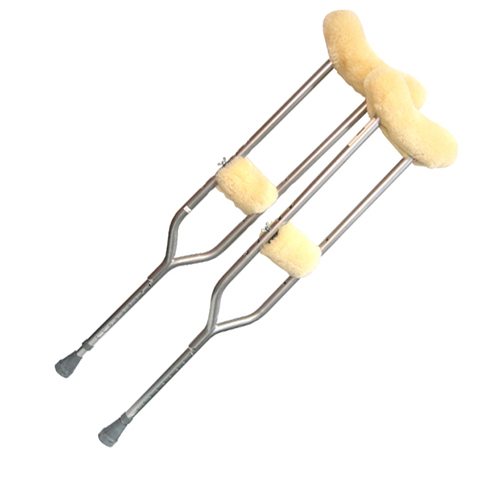 115 Crutches Accessory Kit - Sheepskin Ranch, Inc.
Large size covers for underarm portion are 12″ long and includes velcro closures covers for handgrips are 4.5″ x 6″ and include velcro closures. Sold by the pair. 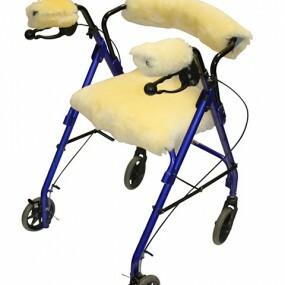 For active people, comfort and cleanliness are benefits you can not live without. 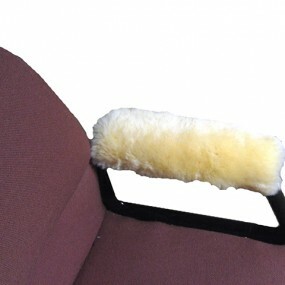 Genuine sheepskin covers are lightweight and comfortable. 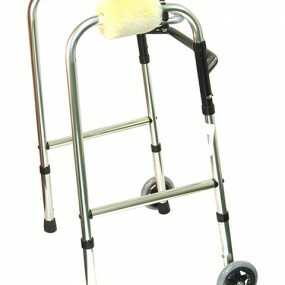 All accessories can be easily added or removed on any rolling walker by securing the Velcro closures or adjustable metal slides. 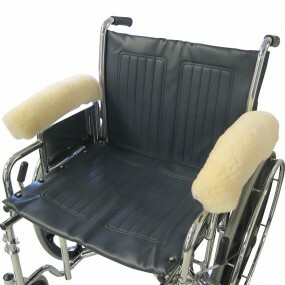 Covers most walker grips. Measure 5" x 5" and includes velcro closures. Sold by the pair. 14.5" length x 5" width with adjustable Velcro straps. Sold as a pair.